Here is a short video from my trip out west this year. It's the first shot with my new GoPro HD camera while using the chest harness. 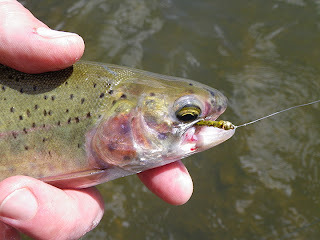 The Rainbow took a double bead black stone fly nymph. 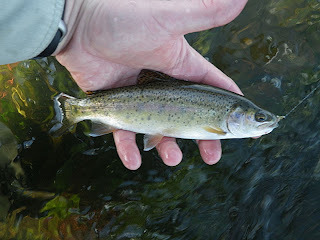 The current was moving and the trout used it well. Dam Removal, always a good thing. Here in the east we have a lot of small Dams, some which date back to the colonial era and others to the industrial revolution, and some like the Calco Dam are recent. All dam have an impact on the streams environment, while large bottom release Dams create cold water habit for trout these smaller top water release Dams have major negative impact trout and migrating species. It's a always a good day when one of these dams is taken down and fish migration is restored. 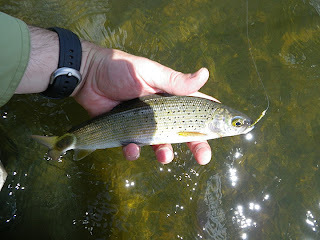 It will only take a short time for the Shad to re-establish themselves upstream and soon there after the Striped Bass should follow. Simms is re-introducing it's Guide Wader to the market. 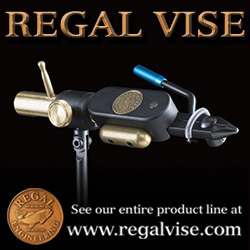 While I could not go the International Fly Tackle Dealer IFTD show in New Orleans this year I been keeping my eye out for news on new gear. I was happy to see that Simms is bring back it's popular Guide Wader, which hasn't be available since 2006. The main reason for my excitement is my old pair of Guide Wader which I purchased some time before 2006 are starting to show signs of wear. Matter of fact, I was going to replace them this year but just couldn't see me ponying up for Simms G4 Pro Wader, so I'd repaired my old ones. There's nothing wrong with the G4 they look to be good wader's. I won't buy another brand, because my Simms have given me many years of service. Before purchasing Simms I was in to new waders almost every year (every other if I was lucky). In short this camper is glad to see the return of the old style Guide Wade. I like the design and I don't need all the bells and whistles of the G4. 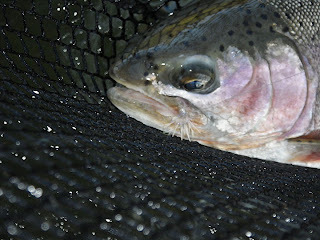 In Yellowstone country there are many great rivers to fish for trout, but there are many great lakes, other than Yellowstone Lake. 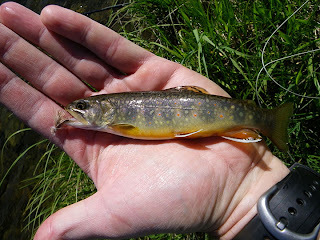 These lakes require you to hike in a few miles, most have well groomed trails, but make sure you have your bear spray while in the back country (see The Jersey Angler's post "Brookies and Bears"). 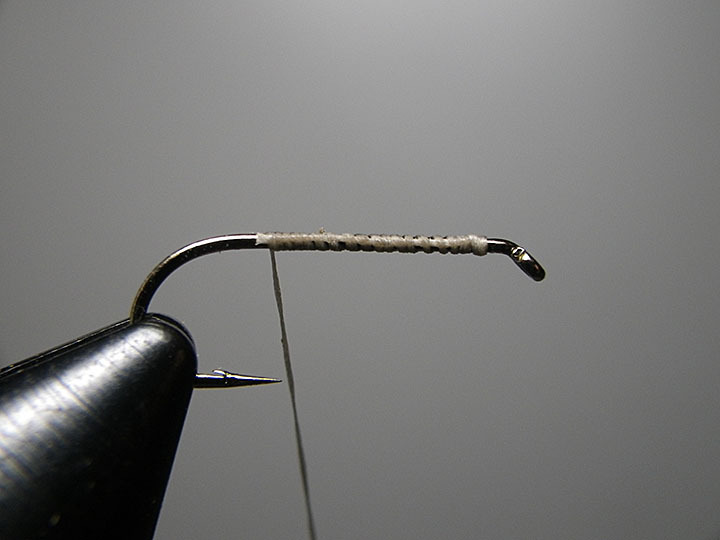 On pattern that worked splendidly, was my K.I.S.S. 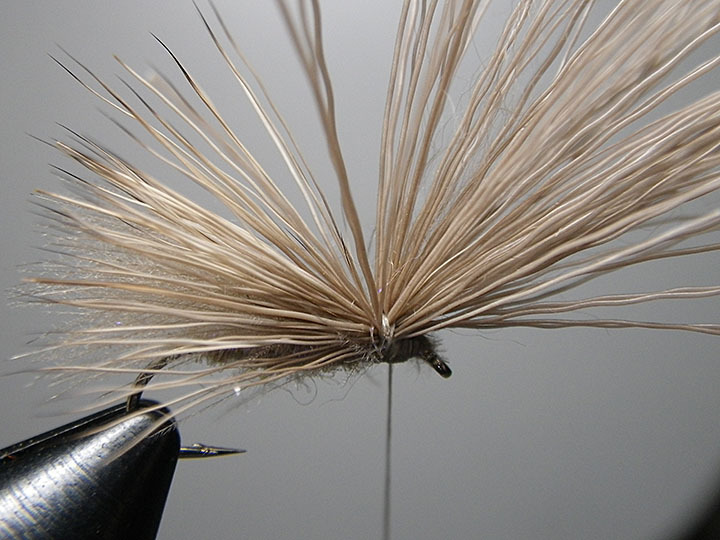 Damsel, it's simple, extremely fast to tie and works everywhere there are Damsels. * I've found 200R hooks with a bead ride hook point up. 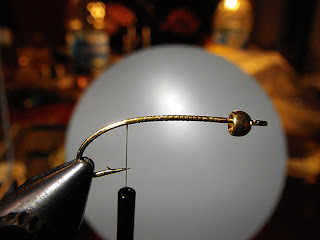 Slide bead on to the hook and attach thread. Tie in Olive Marabou and form a short tail. Wrap the marabou forward and tie off. 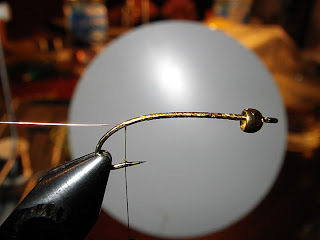 Counter wrap your wire forward and secure with several wraps. 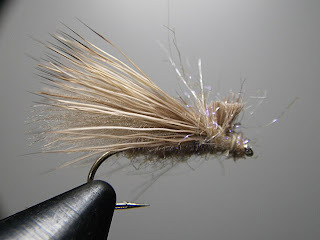 Whip finish and your Damsel nymph is completed. 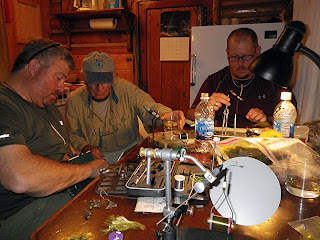 While in West Yellowstone we (Jersey Angler, Rick and I) would tie up some of the patterns we would use the next day. Tying session in the cabin. *The undisclosed lake is name at the end of the video. Pick one of the two. Pick two DVD’s from the choices below. 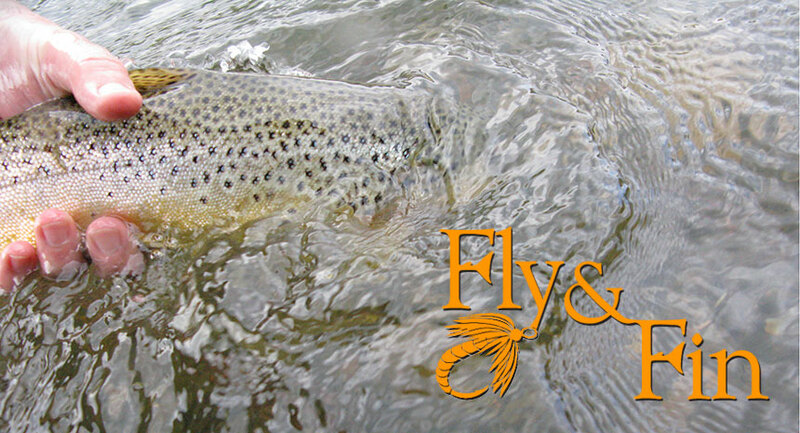 To enter go to http://flyfishinggiveaway.com/blog/2011/07/21/new-giveaway/ and scroll to the bottom of the page and let them know how your Summer fishing. Where have you been? What are you catching? 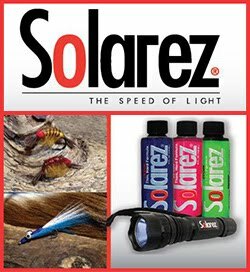 Any good fishing stories? Caddis are abundant on most rivers, but the Madison and other rivers in Yellowstone country there can have blizzard hatches. 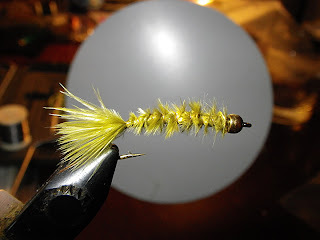 Never leave home with out a caddis pattern in your box. Here is one that is quick, easy to see, and floats like a cork. This is a another pattern which follows the K.I.S.S. rule. 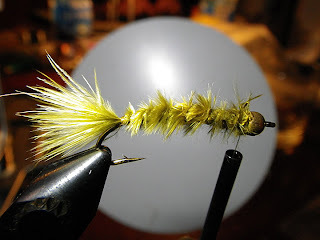 It's simple, fast to tie and works everywhere. 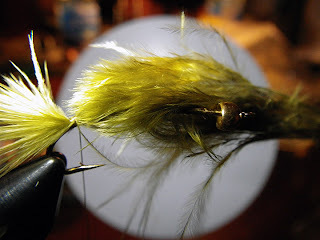 You can variety the color of the body to match the caddis in your area, the UV dubbing adds some nice sparkle to the pattern, you can also substitute the UV dubbing with an Anton blend for similar results. 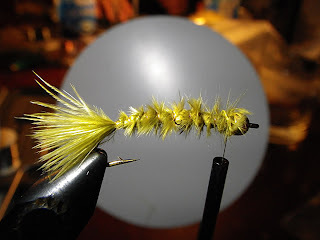 While fishing in Yellowstone country this past July this was my go to caddis pattern if I wasn't throwing large Salmon Files. 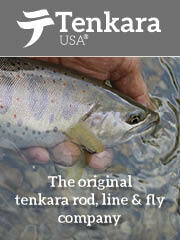 It caught selective trout in the Henry's Fork, Brook Trout, Rainbows and Grayling in the park. Tie in the CDC under wing. 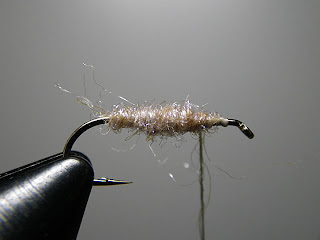 Tie in your Deer hair. 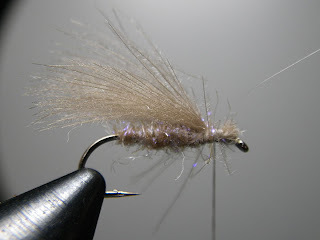 Trim Deer hair and whip finish. Below are some of the trout taken with the CDC UV Caddis.